After IVF cycle failure, delaying consecutive IVF cycle start for two or more menstrual cycles is likely of no advantage compared with waiting only one endogenous menstrual cycle before proceeding. David E Reichman, M.D., Pak Chung, M.D., Laura Meyer, M.D., Eleni Greenwood, B.A., M.S., Owen Davis, M.D., Zev Rosenwaks, M.D. 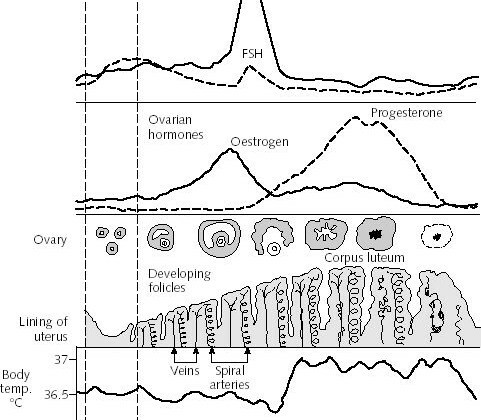 To determine whether patients who failed an IVF cycle can proceed with a subsequent IVF cycle after waiting only one menstrual cycle, or whether there is a benefit to allowing 2 or more menstrual cycles to elapse before proceeding. All patients undergoing IVF cycles at the Ronald O. Perelman and Claudia Cohen Center for Reproductive Medicine, Weill Cornell Medical College from January 1, 2002 to November 1, 2011, in whom two consecutive GnRH-antagonist IVF cycles with identical stimulation protocols took place between 35 and 140 days apart, excluding patients in whom the first cycle resulted in a clinical pregnancy. IVF outcomes were compared for 164 patients who initiated a cycle after waiting only one menstrual cycle (35-55 days from prior oocyte retrieval) versus 557 patients waiting 2 or more menstrual cycles (56-140 days) from their last retrieval before proceeding with their successive cycle start, stratifying for age. No differences were detected in terms of estradiol response, oocyte yield, fertilization, or embryo development when comparing patients waiting only one cycle to those waiting two or more cycles, nor were these parameters different when comparing patients’ index cycles with their immediate preceding failed cycles. Moreover, clinical outcomes in terms of clinical pregnancy, live birth, and cycle cancellation were similar between both study groups. Delaying successive IVF cycle start for >2 menstrual cycles likely offers no advantage over pursuing repeat IVF after 1 menstrual cycle.